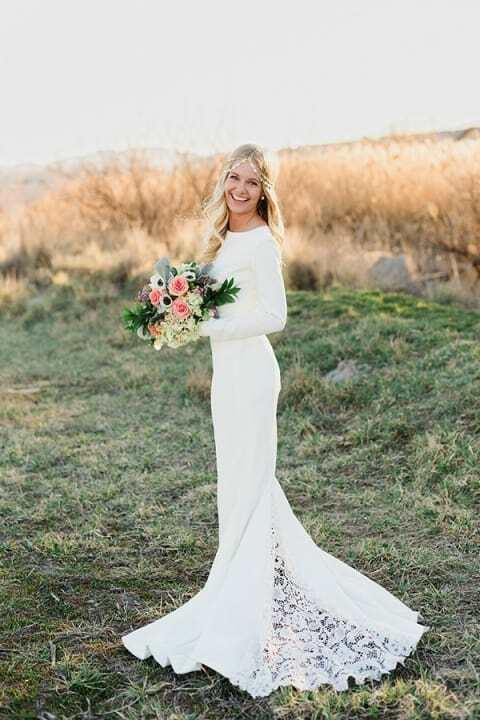 If you are not up for a traditional wedding and you want something more relaxed and laid back, then you definitely want to be a boho bride. The boho dresses are back in fashion and we can see them on the catwalks more and more. 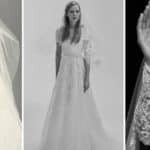 Here I’m going to inspire with some Effortlessly Chic Boho Wedding Dresses For The Free-Spirited Brides, so check them out. You will notice lots of floaty designs accompanied with tons of floral accessories. If you are having your wedding this summer, then you should do it outside and enjoy the beautiful nature. These earthy designs will make you look gorgeous and feel super comfortable. There aren’t any corsets which will make it difficult to move around, dance and eat but the floating designs will make it possible to enjoy your own silhouette. The bohemian spirit is all about being free and relaxed. 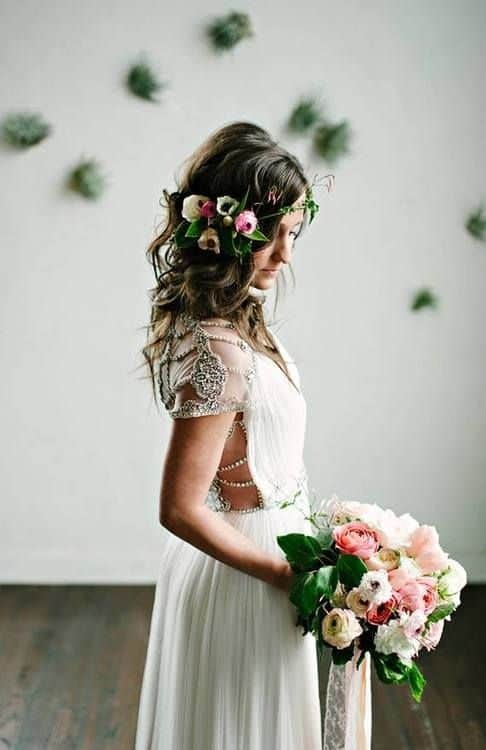 When it comes to the hairstyle, you should choose something easy, and the floral crowns are the most common choice which make the boho look complete. 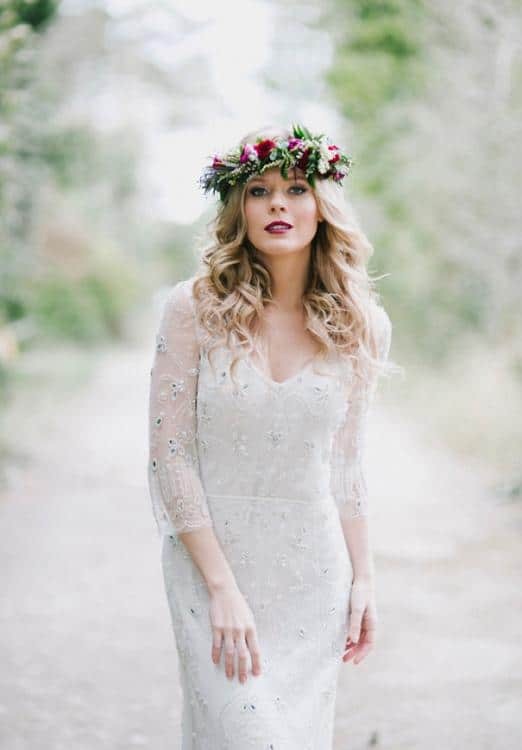 Check out the brides below which rock the boho trend and get inspired! 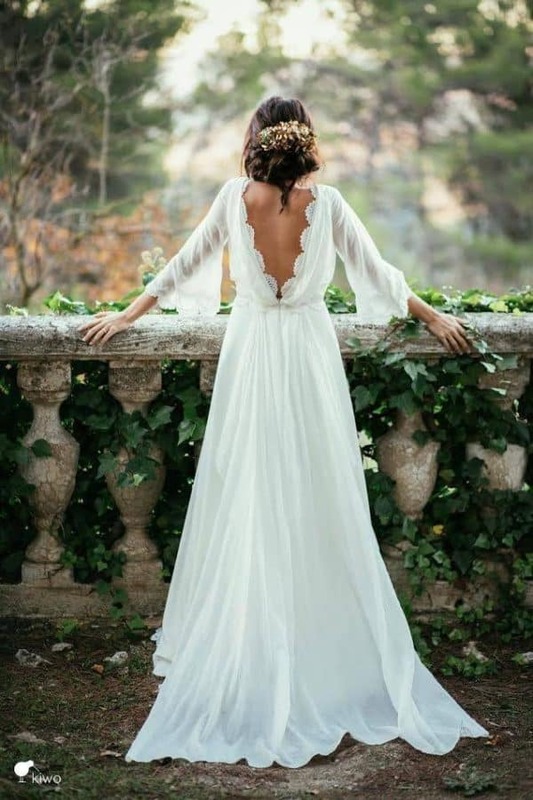 The open back in the bohemian wedding dresses is a common thing, and the summer is the perfect time of the year to pull it off in a great way. 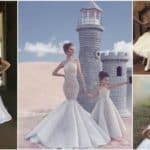 Do you know what makes these dresses so special? It’s the combination of romanticism and individuality and the incorporated elements of nature. Do you wish to have the boho look but with a more sophisticated vibe? If yes, this design is the right one for you. 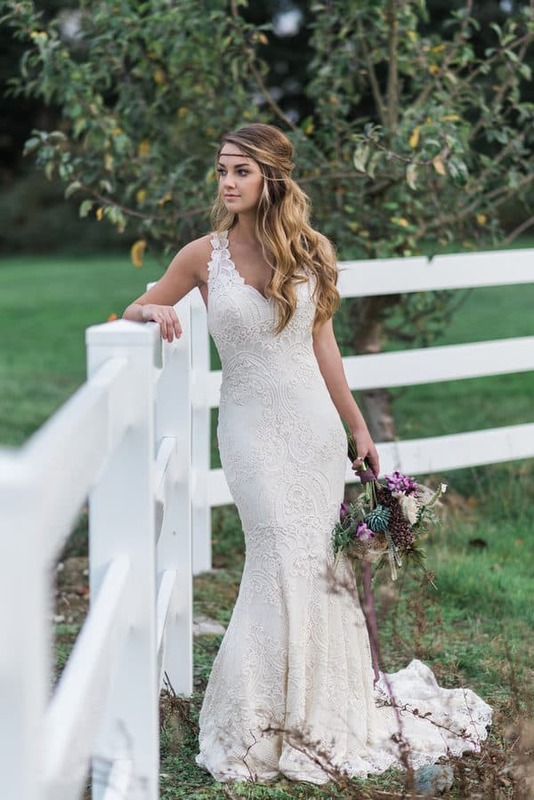 The lace makes it super elegant and classy while the design remains relaxed and easy. Personally, it’s my favorite one from this selection! You will notice that veils and tiaras are not a common choice of the bohemian brides. 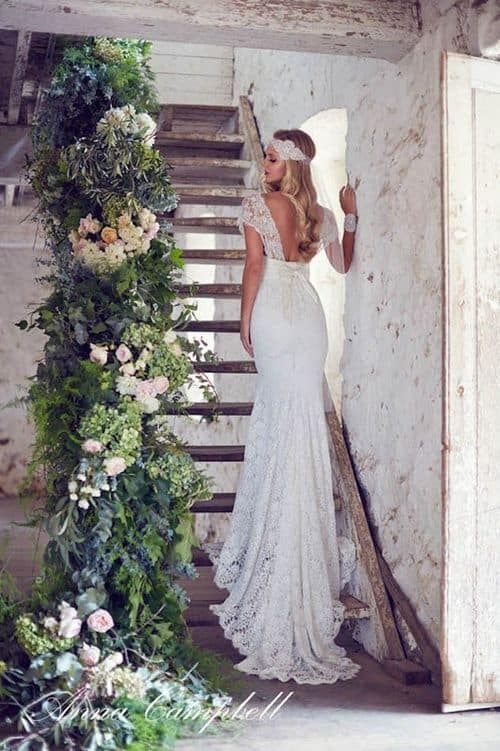 The floral crowns are definitely a must and they should match the bridal bouquet for a polished and complete look. What do you say about wearing a two-piece dress? The boho theme is just perfect for wearing a crop top and a high-waist skirt, so go ahead with it! 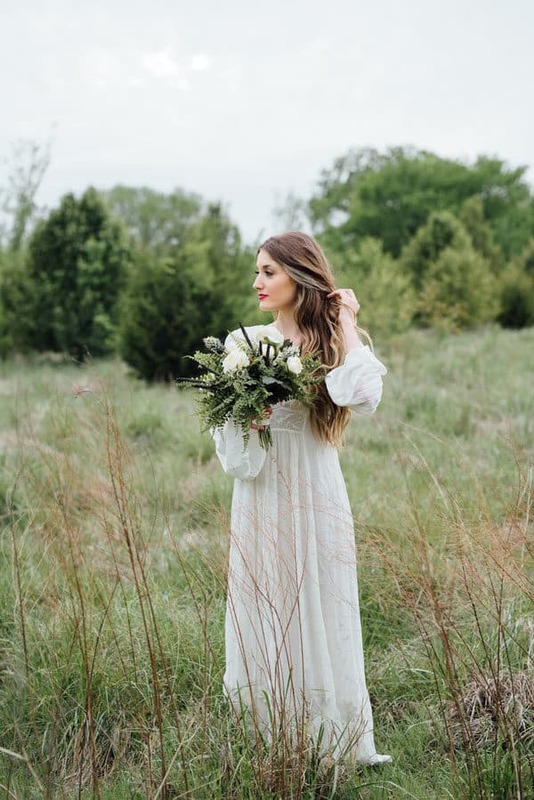 Most of the boho brides decide to go barefoot, or at least choose flat shoes. These free-spirited dresses are not accompanied with heels most of the times, except if the dress is not boho luxe.